This layout was inspired by sketch #54 @ Creative Genealogy Scrapbooking. 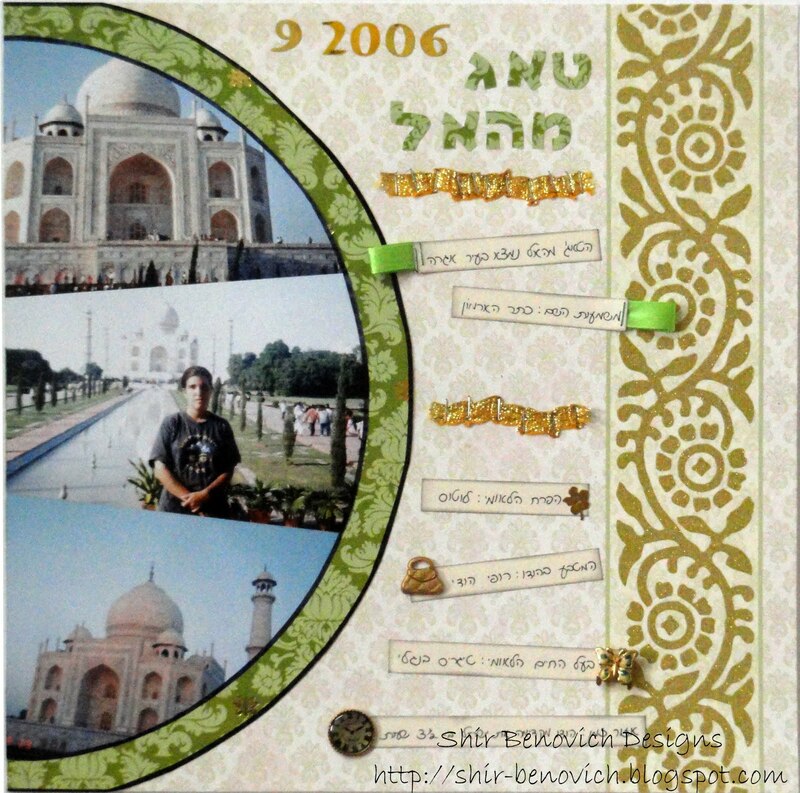 The pictures were taken during my trip to India, before I started my military service (September 1996 - I showed the LO to a friend and she asked me why did I write 2006.... At that moment I realized I was wrong and changed it to the correct year - 1996, ten years earlier). I used: DCWV cardstocks (Taj Mahal stack), Ink It Up! black ink, stapler, ribbons, embellishments received (I finally had the chance to use all these gold embellishments, which I rarely use).